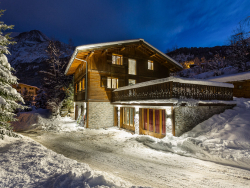 Exclusive ski chalets in the likes of France, Austria, Switzerland and the United States are one of our specialities here at Chaletfinder and we go to great lengths to offer the very best private chalets in all of the leading ski resorts. 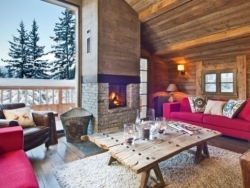 If you're really after a skiing or snowboarding holiday to remember, then booking one of Chaletfinder's exclusive ski chalets will be the ideal solution. You will be in luxury from the first minute you arrive. Chaletfinder know what our users are after when it comes to a luxury catered chalet and we offer so many fantastic ski chalets to choose from all over the world - if you can't find the right private ski chalets for your group on our website, just give us a call on +44 (0) 161 408 0441 and we will find something that fits the bill. 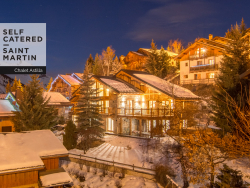 Whether you're looking for a luxury ski chalet in France, Austria, Switzerland or any top European ski destination, Chaletfinder will have something to suit all requirements. We are delighted to work alongside the owners of some of the world's most exclusive ski chalets and offer fantastic prices that you won't find anywhere else on the web. 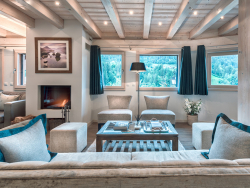 Chaletfinder has a range of luxury ski chalets which is simply the finest and we strive to find the very best exclusive ski chalets for all of our customers. 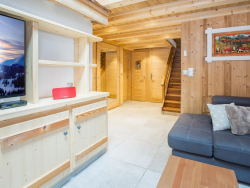 [short_description] => Is this the best-located self-catered apartment in the centre of Les Gets? We think it’s impossible to find a more central accommodation option! 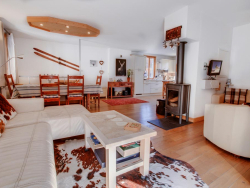 [luxury_short_description] => Luxury 3-bed self-catered apartment right in the centre of Les Gets and just 70m from the Chavannes lifts. 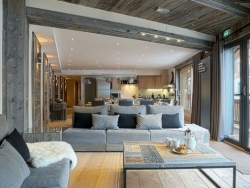 [luxury_short_description] => Luxurious five bedroom (all ensuite) luxury ski in ski out chalet in the enclave of Les Houches in the Chamonix Valley. Luxurious five bedroom (all ensuite) luxury ski in ski out chalet in the enclave of Les Houches in the Chamonix Valley. [short_description] => Chalet Granit allows guests to have a great stay, flooded with light of the Grands Montets. [luxury_short_description] => A unique granite themed luxury chalet sleeping up to 10 people. A beautiful position opposite the Grands Montets and the Argentière Glacier. A unique granite themed luxury chalet sleeping up to 10 people. A beautiful position opposite the Grands Montets and the Argentière Glacier. [luxury_short_description] => Chalet des Anges (sleeps 10-12) is a luxurious, newly-built chalet with boutique-style furnishings, log fire and fully en-suite bedrooms. Chalet des Anges (sleeps 10-12) is a luxurious, newly-built chalet with boutique-style furnishings, log fire and fully en-suite bedrooms. [short_description] => Luxury self catered with daily house keeping. Hot tub, sauna, cinema room, direct piste access. [luxury_short_description] => Luxury self-catered chalet with daily house keeping. Hot tub & sauna, cinema room, direct piste access. Luxury self-catered chalet with daily house keeping. Hot tub & sauna, cinema room, direct piste access. [luxury_short_description] => PREMIUM CHALET. PERFECT LOCATION. [luxury_short_description] => Sleeping up to 10 people in a dreamy 195m2 of space, Chalet Astilla is the perfect getaway for a large family or group of friends. Sleeping up to 10 people in a dreamy 195m2 of space, Chalet Astilla is the perfect getaway for a large family or group of friends. [short_description] => Designed and newly built as a luxury family property, Chalet Aubois feels like a home from home and a place you can truly relax in. [luxury_short_description] => Split over three levels, the architects have incorporated everything you would expect to make this home a perfect self-catered property. Split over three levels, the architects have incorporated everything you would expect to make this home a perfect self-catered property.